The Benefits are that this single Initiatives Amendment authorizes Direct U.S. Initiatives by the People that can provide legislative and constitutional Solutions to numerous Problems that Congress cannot or will not solve. For many advocates of solutions to many dozens of problems, their chances of achieving their government reform goals were virtually zero no matter how fierce their advocacy. With the Initiatives Solution, they have the benefits of an effective way to publish their case for consideration by the IQA, which after very careful consideration may find that it ranks among the very best and most worthy, and advance their Initiative for vote by all the People at Federal Elections. Direct Initiatives can pass Congressional Legislative solutions. Direct Initiatives can also apply for a Constitutional Amendment, and a second Direct Initiative can ratify the Amendment. Indirect Initiatives can go directly to Congress if Congressional support is likely, saving the People time and effort; if Congress does not concur, it can be elevated to a Direct Initiative. Advisory Initiatives can lead to Solutions that cannot be found any other way for complex problems where the People must compromise. We have used automation since the first water wheels in the 3rd century BC. The industrial revolution was from about 1760 to 1840. 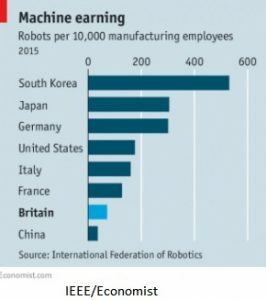 Replacement of human labor with automation has continued to expand since then. 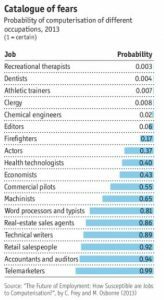 Often, but not always, good jobs requiring higher mental skills were available to employ those replaced by automation. But today’s new highly intelligent machines and robots are beginning to eliminate many high mental skills jobs too. From a Corporate perspective, automation and robots have huge benefits; they work 24×7 (four times more than a human); never complain or strike; involve no hourly labor costs, only initial investment plus maintenance; rarely make an error. 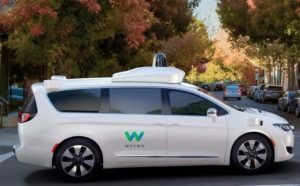 For example, intelligent automation is coming to road vehicles (video) making many professional drivers redundant. Similar human replacements are expected in many other occupations. The resulting extra corporate income does not have to be shared with workers. As things are, many more humans will soon have no jobs, no income, no money, no hope. Many corporations will make excellent profits; Plutocrats will temporarily prosper. But who will buy all their products? Our Oligarchic Congress, focused on short-term issues and re-election, cannot solve these long-term problems. Moreover, Oligarchs’ greed is a participating trigger in this chaos. The People are the losers. There is no constitutional mechanism to find or enact a solution. The best minds in the nation could probably find solutions that retain the productivity and rewards of Capitalism and concurrently a meaningful life for the People. We will need a political mechanism that can find and implement effective and efficient solutions. The thought of Oligarchs owning the automated means of most production in our country as well as controlling our Government is terrifying. Will liberty mean anything? The Democratic power of Direct Initiatives is the People’s only Constitutional protection against a potentially dystopian nation. Fifty-six countries retain death penalty capital punishment, 103 countries have completely abolished it. The U.S. is one of the few advanced countries to retain it Federally and in 31 States. The process for administering the punishment is occasionally brutal – many Citizens terminate their animals’ lives with greater compassion. (In fact, it would be far more humane to authorize Veterinarians, who are more skilled in this field and not bound by a doctor’s hippocratic oath, to administer the death penalty, if it did not raise aesthetic resistance.) Also, the finality of death leaves no remedy if innocence is determined later. On the other hand, vengeance is a valid human emotional expectation, and some Citizens would prefer death over life in prison. There currently appear to be under 40 executions per year. 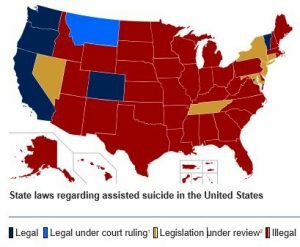 It also appears that the cost of getting, imprisoning, and administering a death penalty is greater than life in prison. Thus, it appears that there are no clear decision-making criteria other than personal preference to reserve extreme punishment for some classes of crime. 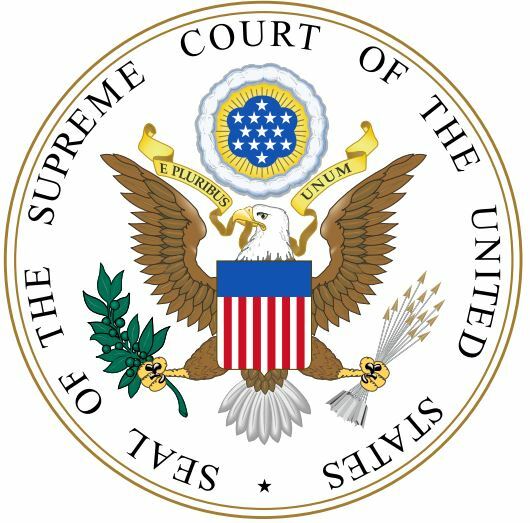 The Supreme Court struck down the Death Penalty from 1972 to 1976 when it was reinstated (Furman v. Georgia). Congress is wary about taking up the issue. As of October 1, 2016, there were 2,902 death row inmates in the United States, and 20 were executed in 2016. The number of death row inmates changes daily with new convictions, appellate decisions, sentence commutations, deaths (through execution or otherwise), and exonerations (Wikipedia). The use of an Advisory Initiative would give the People general guidance on the appropriate action to be taken without trampling State rights. Climate change due to increasing carbon dioxide concentration from burning coal oil and gas is causing sea level and temperature to rise. We know the earth is heated by the sun’s white light and cooled by infra-red light leaving the earth. Since 1928 we have been able to measure how carbon dioxide, methane, etc. (gases that contain carbon) block infra-red cooling, thereby increasing atmospheric energy (e.g., wind speed, temperature, water content, storm size). 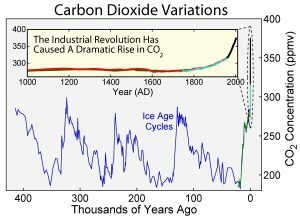 Carbon dioxide has increased from 280 ppm, (the level it had for the last 10,000 years up to 1850) to 409 ppm in 2017. It is easy to measure the average sea level, so we know that the sea has risen about 8 inches in the last 100 years. 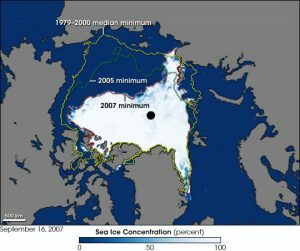 We know that arctic ice is melting by just looking at satellite photos. 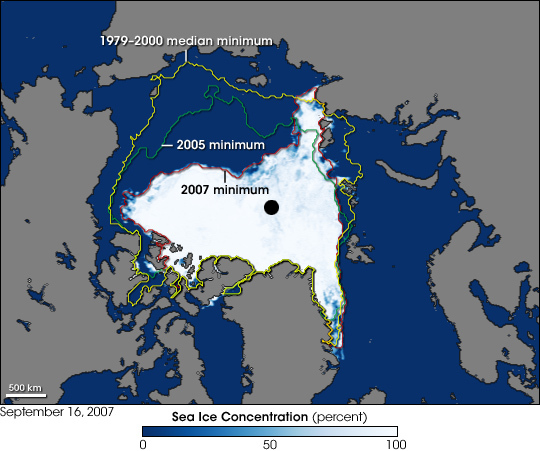 When most of the Northern polar ice melts in summer, which results from a climate change warming of about 3.6 to 5.4 °F according to the experts, the sea around the world will eventually be about 1 to 3 feet (NOAA says up to 8 feet in worst case) higher than today by about 2100–in the lifetime of today’s children. 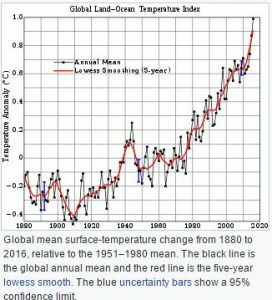 The general opinion seems to be that when the global average temperature has risen by 3.6 °F, we have reached the “tipping point” for the Northern ice and it will virtually all eventually melt. Antarctica has about 7 times more ice than the Arctic plus Greenland, but far less is known about its condition. 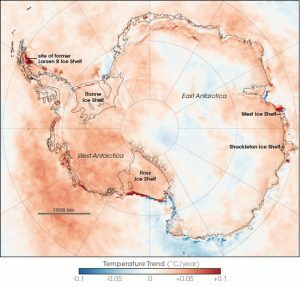 West Antarctica is melting, while some parts of East Antarctica have seen roughly equivalent increased snowfall. Although not all the studies agree, most climate scientists argue that Antarctica is losing mass in a warming world according to NASA/Goddard and Scientific American. The sun can sometimes get colder coincident with a decrease in sunspots beyond the normal 11-year cycle. 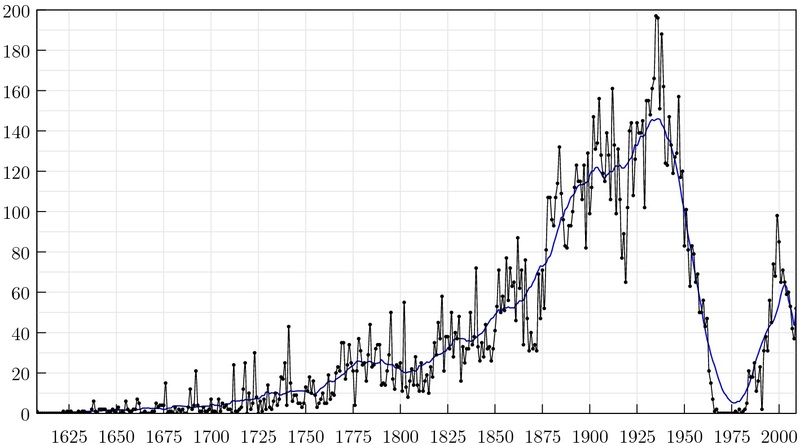 This occurred most significantly during the late 17th Century, when virtually no sunspots occurred during the “Maunder Minimum“, creating noticeably colder conditions. However, there is currently no way to predict this phenomenon. 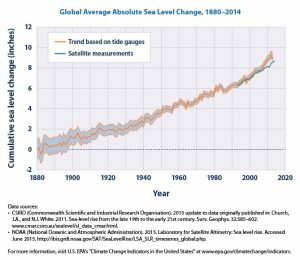 How Extreme Can Sea Levels Conceivably Get? 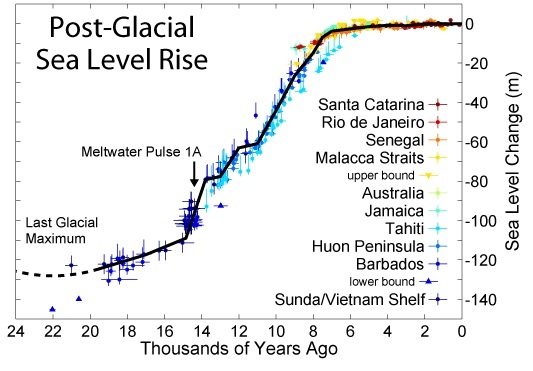 According to the scientists, at the peak of the last ice age about 25,000 years ago, sea levels fell to about 410 feet below current levels (human remains can be found in areas now below sea level). 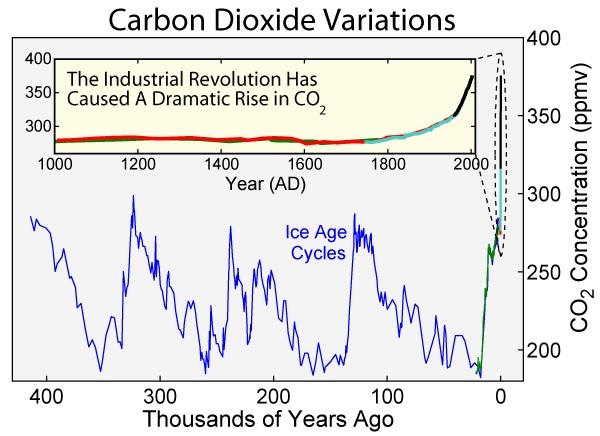 As the world warmed, the sea rose to its current level by about 8,000 years ago. 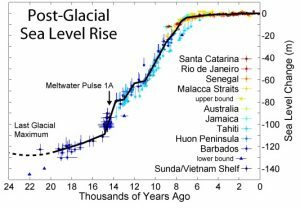 If we pass the tipping point, all the arctic ice (including the Greenland ice sheet) could eventually melt, and the sea around the world would be 24 feet higher; if all the Antarctic ice melts as well, sea level would be about 220 feet higher than today, but with both glacial loss and increased snow precipitation, an overall Antarctic melting has not yet been proved. 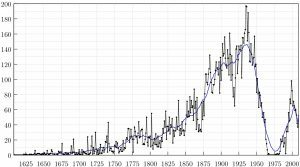 This means that throughout our 5,500 years of recorded history, the weather and sea level have remained almost constant. We have been living in a “Goldilocks” weather era without realizing it, that now supports 7½ billion of us; a 4-fold growth in the last century. If we fall out of our Goldilocks zone at this population level, the consequences will be disastrous for huge numbers of people. How Extreme Can Weather Get? If you take an open pan of water and start heating it, you will notice that its movements get increasingly vigorous as it gets hotter. It is called convection heat transfer by which the fluid movement transfers the heat. The weather acts in a very complex version of this. The hotter the system, the more violent and extreme the movement from the norm. We will see heating effects as combinations of more violent storms, heavier rainfalls and flooding, bigger storm surges, coastline inundations, hotter weather, and more droughts. In some areas, it will mean rebuilding or moving; in some areas, there will be huge loss of life from crop failure, hunger, and disease; and in others mass migration, violence, and war. The NASA Center for Climate Video Simulation shows its projections for this century in a visualization, predicting that the U.S. will get significantly warmer and snow in the Rockies will get less. Technologies to reduce carbon dioxide, methane, and similar emissions are becoming increasingly effective and affordable, competitive with fossil fuel. The coal, oil, and gas tycoons make profits in their lifetime from exploiting their resources immediately. But if the effects of warming are bad, they can easily afford a move to cooler and higher places along with the Oligarchy and most members of Congress. This raises the question: should those who will suffer least make the decision for all the rest who will suffer more? An important consideration should be our descendants, who will need the petrochemical products made from coal oil and gas for hundreds or thousands of years, so leaving them in the ground for them is not a bad idea – some think it an obligation. The big question then is how much should we spend on Climate Change “insurance” today to control climate versus gambling on the speed of damage to ourselves, our children, and their children? We know that usually the earlier you buy insurance the better; eventually it is too late, and you cannot buy it! But we cannot rely on those who can afford to dodge the worst of the climate effects to make decisions for the People. The cost of insurance appears to be declining due to the lower cost of “green” energy production. The dysfunctionality of the American Government on these issue is seriously affecting intelligent policy. If the People rise to the challenge (many U.S. climate experts will probably participate with their views on all sides of the issues while the IQA evaluates submitted Initiatives) an Advisory Initiative can recommend a climate decision that the People really want, followed by a Direct Legislative Initiative to set the policies that Congress fails to address. For the United States, Article One, Section Eight of the Constitution says “Congress shall have power to … declare War” that thereby provides authority to the President to fight. However, that passage provides no specific format the legislation must take to be considered a “declaration of war” nor does the Constitution itself use this term. There is no requirement to estimate, limit, or constrain the cost in lives, injuries, and treasure. However, Presidents have assumed responsibility to start a war, e.g. the 1964 Gulf of Tonkin incident that kicked off the Vietnam war. Moreover, the President is the Commander-in-Chief and has the sole authority to release nuclear weapons. Furthermore, once started, there is no legislative or constitutional mechanism to define or even consider a mandatory end to a mistaken war. 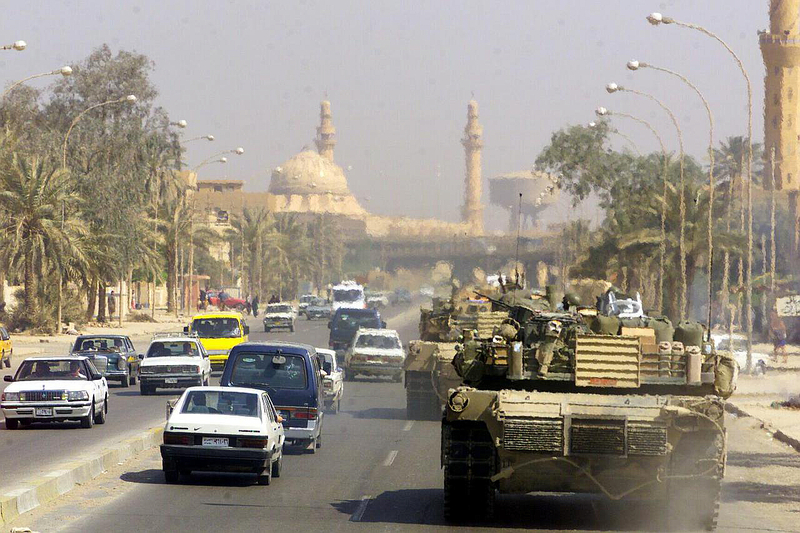 According to Wikipedia in March 2013, the total cost of the Iraq War was estimated to have been $1.7 trillion by the Watson Institute of International Studies at Brown University. Critics have argued that the total cost of the war to the U.S. economy is estimated to be from $3 trillion to $6 trillion, including interest, by 2053. It seems that there should be more clarity about such monumental issues. Checks and balances between Congress and President warrant elevation of defining the declaration of war authority decision-making process above branches of Government to the Constitution. As of this writing, 2016-2017, the U.S. is attacking and killing and maiming opponents and collateral civilians in seven countries: Afghanistan, Iraq, Libya, Pakistan, Somalia, Syria, and Yemen, in the name, authority, and responsibility of all the People of the U.S.. This is a difficult but critical subject that the People may wish to take up, perhaps first by an Advisory Initiative, but care will be needed to avoid exposing the US to greater risk by making information public that is now secret. 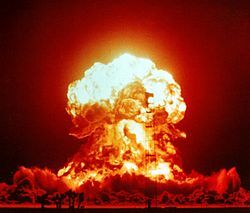 Obviously, the People cannot be responsive to immediate war threats, but the People have been through enough wars, some possibly avoidable and certainly hugely costly in life, limb, and money, to at least review the process taken by Congress and the President to declare war in the name of all the People. Members of Congress enjoy an extraordinary lack of congressional oversight by the people to do exactly what they wish, such as telephone solicitation, setting their own perquisites, etc. using the Necessary and Proper Clause or Basket Clause. This has allowed Congress to operate to the personal benefit and aggrandizement of its members. For example, Congress sets its own compensation and perquisites, lobbying revolving-door policy, ethics, personally beneficial use of donations, etc. There are no checks and balances on congressional behavior possible within our Constitutional framework when Congress determines what is Necessary and Proper Clause per the Basket Clause, e.g., permitting telephone solicitation. The only remaining possibility available is for the People to assume that responsibility and authority as and when necessary. 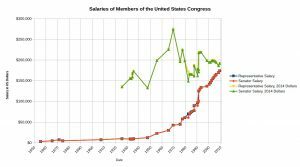 The graph above show that Congressional Salaries are historically reasonable. The post Congressional lobbying income and perquisites are another matter. Removing, updating, and simplifying existing legislation. Lockstep voting along Party lines. Extent of reading and level of knowledge of legislation on which they vote. This is correlated to the size of staff. Congress is supposed to work for the People not vice versa. Because the People have been careless and absent managers in the past does not make this a permanent condition. Just the fact of being subject to congressional oversight can have a major impact on improving behavior. The availability of Initiatives makes management possible albeit at irregular intervals and often not as quickly as optimal. But just the awareness that bad behavior may well be known and punished is a major motivator to good behavior. The instigators of the best proposed initiatives submitted to the IQA on this issue will probably come from insiders who know far more about what goes on in Congress than we do. After selecting the best, hopefully the IQA can handle them by Indirect Initiatives and submit them directly to Congress for appropriate action. Otherwise, the can be submitted to the People’s vote as Direct Legislative Initiatives. The Supreme Court has enacted some judgements that carry the full weight, force, and impact of important Constitutional Amendments that Congress has evaded addressing. This perverts our constitutional rights and can result in much unnecessary suffering by the People. A primary contributing factor is Congress’s unwillingness to propose Constitutional Amendments, preferring instead to shift responsibility to the unelected Supreme Court, constrained by historical legal precedents but not by the electorate’s preferences. 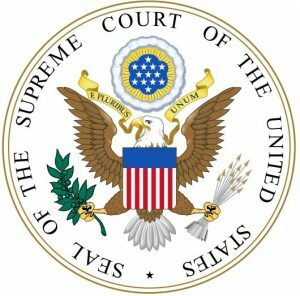 Moreover, it makes the nomination of a Supreme Court Justice by the President, with the Advice and Consent of the Senate, an event of colossal importance and causes the maximum exertion of the President and Senate. Some well-known exemplars of a Constitutional level of importance beyond the competence of those with purely legal experience are Roe v. Wade, Citizens United v FEC, McCutcheon v. FEC, and Bush v. Gore; each has resulted in colossal national impact for better or worse. The issues here are not the decisions themselves, but the failure of Congress to deal with the issues by Constitutional Amendments in a timely manner: it is a failure of Congressional leadership and courage. The Founding Fathers considered the Constitution a living document and to have expected many more amendments to the Constitution than have occurred. Instead, Congress has evaded their responsibilities. It is the People’s Constitution. They have every right and obligation to assume the responsibilities that Congress has evaded for so long. The right to propose amendments and to ratify amendments by Direct Constitutional Initiative is therefor included. As with other voting issues covered in this Initiatives Amendment, the People emulate their elected representatives voting the will of the People. Using this power, the People can perform the constitutional responsibilities that the Congress has so long evaded, and that by default the Supreme Court has been obliged to accommodate. Of these examples, Roe v. Wade will probably require the greatest care to compromise and avoid radical infighting. Probably many will find the compromise not completely fulfilling, but it will be better than the bitter dissention that now exists. It will require one or more Advisory Initiatives. If an adequate solution can be found, an appropriate Initiative can be placed on the ballot. But there is no certainty that enough commonality and willing compromise exists for an appropriate solution on this issue and we will be left with Roe v. Wade mostly unchanged. 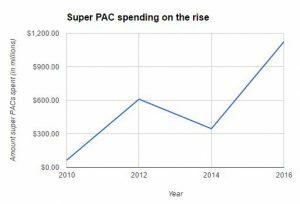 Citizens United v FEC grants corporate personhood permitting virtually unlimited political expenditures through Super PAC, nonprofit organizations, etc. Citizens United was possible because of two preceding decisions (Buckley v. Valeo, 1976 and First National Bank of Boston v. Bellotti, 1978). Their interrelations are explained in layman’s’ terms by an article from Huffington Post and elsewhere. 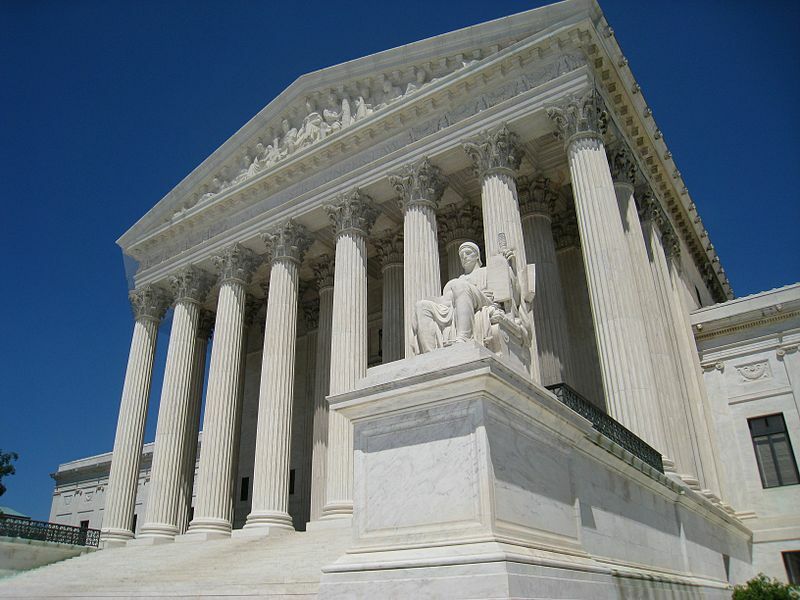 In the Citizens United decision on 21 January 2010, the Supreme Court narrowly (5-4) decided to extend Corporation Personhood to include freedom of speech, prohibiting the government from restricting independent political expenditures by a nonprofit corporation. The principles articulated by the Supreme Court in the case have also been extended to for-profit corporations, labor unions and other associations. The Court was in substantial disagreement. John Paul Stevens, the most senior justice in the minority, assigned the dissent to David Souter, who announced his retirement from the Court while he was working on it. The final draft went beyond critiquing the majority. Toobin described it as “air[ing] some of the Court’s dirty laundry,” writing that Souter’s dissent accused Roberts of having manipulated Court procedures to reach his desired result – an expansive decision that, Souter claimed, changed decades of election law and ruled on issues neither party to the litigation had presented. The decision has had a rapid effect on elections, increasing in six years from almost zero to $1.2 billion. It has been a major boost to Oligarchy. Much of the funds cannot be followed from original source to its impact on the elections. It has acquired the name “Dark Money” for its un-traceability. A leading opponent of Citizens United is the “Move to Amend” coalition, a California nonprofit (#3604575) incorporated in 2013 as a successor to its original formation in 2009. As of mid-2017, their website indicates over 40 affiliated organization have joined with them, and nearly 500 more support them. Their approach is to persuade members of congress to support their Amendment (H.J.Res.48) and at least 40 members have committed themselves as of May 2017. Taking the position that persuading members of congress is not likely, once the Initiative Amendment is in place, reversal of the Citizens United decision will require a Direct Constitutional Initiative (perhaps two) and will take 3 to 5 years. Though congressional redistricting is the responsibility of the States, special interests promoting a party or policy use gerrymandering with redrawn districts to favor incumbent sitting members and thereby have a major influence on the process. In 36 states, redistricting is the responsibility of the state legislature; in seven states (AZ, HI, ID, NJ, WA, and WV), redistricting is done by independent means; and seven states (AL, DE, MT, ND, SD, VT, and WY) have only a single district (Wikipedia). Gerrymandering has the effect of redrawing voting boundaries so that voters of the first group make their votes more effective than the votes of a second group. 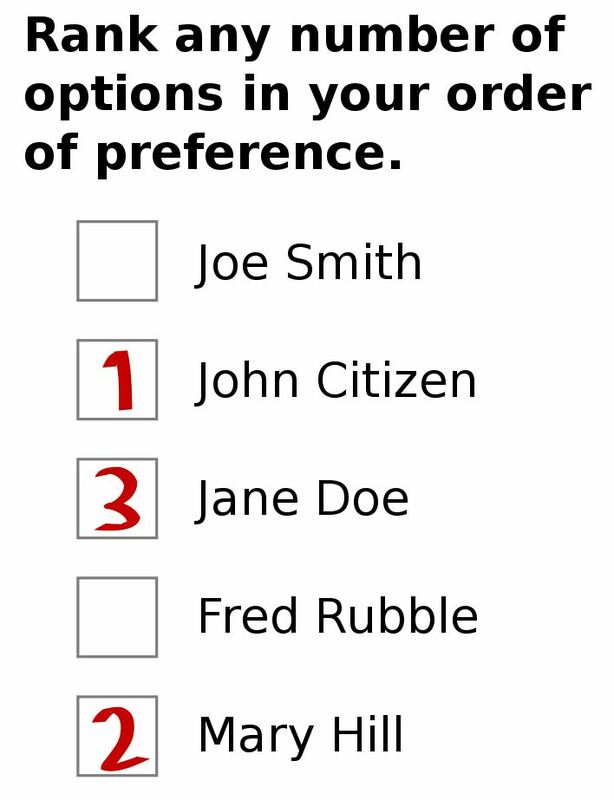 It wastes the second group votes artificially—thereby voiding their vote and their Article 1 Section 2 right of choice. As of 2012, the disenfranchisement due to partisan-controlled redistricting was a total of 4.4 million voters from both parties. (Princeton Election Consortium, Sam Wang). 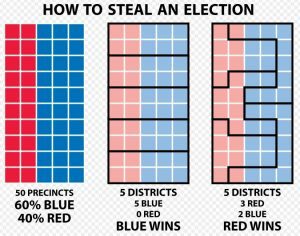 Gerrymander works by packing opponents’ votes into redrawn districts where the opponents will already win, and by distributing the remainder into redrawn districts where opponents become a minority. It particularly favors incumbent congresspersons because they generally influence the drawing of the voting boundaries—and the effects are far from trivial. For example, if two parties have an equal number of votes, it is possible to gerrymander so that one party gets almost two times as many seats as the other. Sophisticated computer mapping systems, which require substantial financial support, design gerrymandering today. Consequently, special interest money is again crucial. Voters should choose which political party should be in power; instead, congresspersons, special interests and political parties choose their voters to assure their power. Today in the House of Representatives, about 190 sitting members are safe for each party, leaving only 55 seats (i.e., 13 percent) where the outcome is open. The underlying 1967 law creating gerrymander’s opportunity established that the number of Districts shall be equal to the number of Representatives (U.S. Code › Title 2 › Chapter 1 › § 2c). There are several well documented, tested, and reliable solutions to this problem. But it is unlikely that a congress, with 87 percent of its sitting members and probable incumbent benefits from gerrymandering, will ever change the law. So, if the people want to remedy the problem, it will require a Constitutional Amendment today, or if we have the Initiatives Amendment, in can be done simply with a Direct Legislative Initiative. 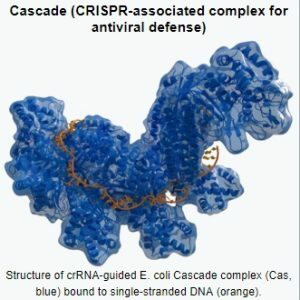 The CRISPR technology is a very powerful tool (80-min. video) for correcting genetic disabilities and diseases in humans, and for creating more productive, desirable, and profitable strains of animals and plants, often called Genetic Modification (GM), Genetic Improvement, or Genetic Engineering. The technology is advancing rapidly, becoming more precisely targeted and reliable, and may have a significant effect on extending human longevity and world population. Some of the human diseases that may be curable or controllable by CRISPR technologies are: Alzheimer’s disease, arthritis, cancer, cystic fibrosis, diabetes, hemochromatosis, hemophilia, high blood pressure, Huntington’s disease, Marfan syndrome, muscular dystrophy, sickle cell anemia, etc. It may also be able to kill off an undesirable rapidly-propagating pest species using gene drives, e.g., malaria mosquitoes (13-min. video) – but gene drives cause concern because the use is irreversible for the fast-propagating species. Disease cure tests are well underway in mice and other non-human animals. On October 28, 2016, a team from the Sichuan University in Chengdu, China became the first in the world to inject an adult human with cells that have been genetically edited using the CRISPR/Cas9 technique. In 2017, 20 other trials were under way or nearly ready, mostly in China. However, the biggest early impact is going to be in agriculture. In 2018, first applications of CRISPR edited soybeans (Calyxt) are being commercially grown. The most committed countries appear to be the US and China. It is likely that CRISPR technology will have a major impact to delay the negative effects of aging and increase the world population, but the true extent is unknown. 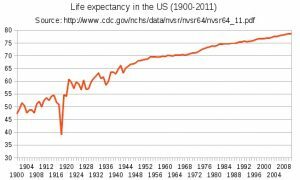 The central issue of concern on this website is that the People should not permit our Congress alone to make decisions in medicine when we know with certainty that Congress can be influenced and corrupted to make disastrous legislation that lead to massive loss of life. 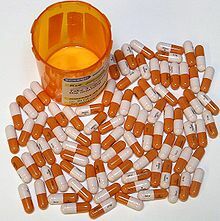 E.g., the $100 million of lobbying/bribery of Congress by big pharma, causing the unnecessary opioid addiction deaths of 15,000 of us and cost us $300 to $500 Billion in 2015 alone. CRISPR and like technologies should be overseen and limited by the People calling upon the best scientific and ethics advise and Initiatives, not by a Congress indebted to Oligarchs and big pharma‘s businesses. It is unquestionable that, for a policies about changing the People’s genetics, the People must be involved. it will probably be best to have an Advisory Initiative followed by a Direct Legislative Initiative to guide and constrain Congress. The CRISPR advances in other countries will have an effect on these policies. Throughout the World, people have re-evaluated the simple “Winner take All” voting system prevalent in the U.S. and developed potentially fairer voting systems that allow a wider range of views to be represented. The U.S. does not have to change, but should always be on the lookout for, and open to, ways we can improve our political system. Some examples of alternatives are shown below. 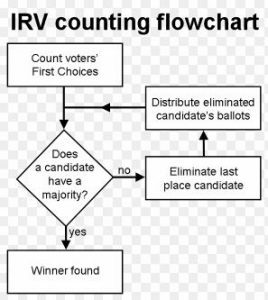 Rank Choice Voting (RCV) means that if no candidate has more than half the vote in first-choices, candidates finishing last are eliminated round-by-round in an instant runoff until two candidates are left. These have the important benefit of encouraging a more diverse group of candidates without risking the election of a candidate supported by a minority of voters. They are used in national elections in several countries, and in several U.S. States and Cities. Congress is unlikely to adopt this as the Parties may lose some control of the electoral system and it would probably loosen Oligarchy’s control. Various organizations support this approach and it is widely used around the world. Often the major issue is that it may confuse the voters. 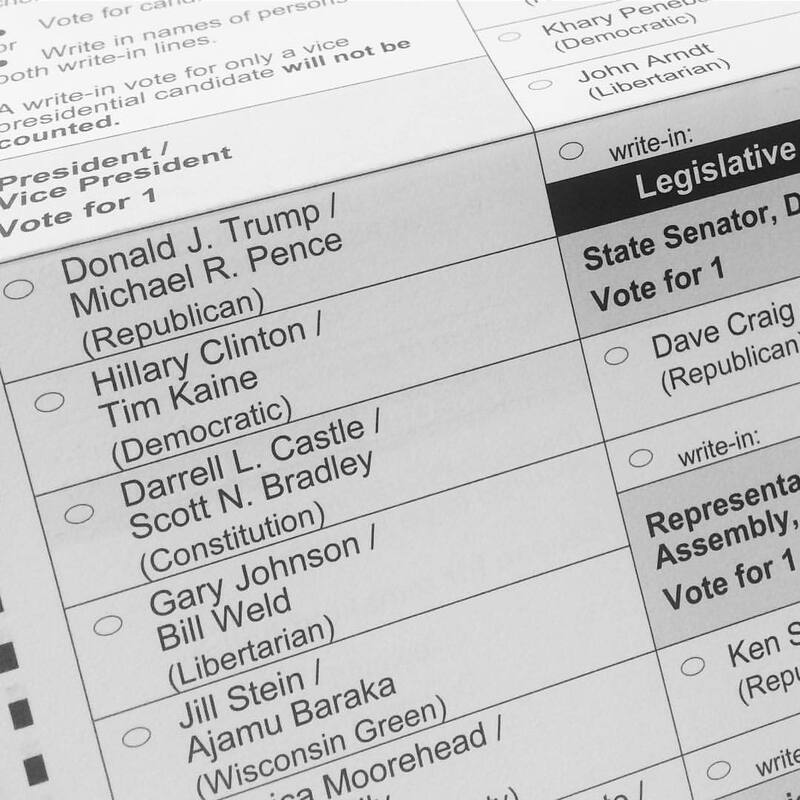 Minneapolis voters offer their experiences in a FairVote 3-min. video. 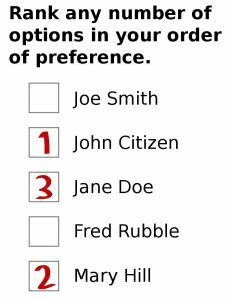 Though it has been proved that no voting system can be devised that always achieves perfect fairness, the effect of a powerful third candidate for a single office can easily cause the worst candidate to win. Many citizens believe that any reasonable alternative is better than this. If the Popular Vote replaced the Electoral College to elect the President, then it becomes essential for the People to make a choice by Direct Legislative Initiative, preceded by an Advisory Initiative if the IQA does believes that the best choice is not obvious. Prescription drug companies in the U.S. charge exorbitant prices simply because they can. And they can because a majority of those in Congress and other areas of government are unable to resist the huge personal benefits arising from their corruption by drug companies. Medicare alone spends over a billion dollars a year; astonishingly, Congressional legislation makes it illegal for Medicare to negotiate with drug companies, though private healthcare plans can negotiate. By itself, this private negotiating power looks beneficial, but it causes a highly fractured market where each buyer has little power to make a good deal with big pharma. Total lobbying spending in 2016 was $3.15 Billion with 9.617 registered lobbyists (OpenSecrets); Pharmaceutical/Health’s portion was $78 Million with 1,149 lobbyists (OpenSecrets). Comparisons and explanations are shown in a 3-min. video. Total drug sales in the U.S are now 446 billion per year (46% of worldwide drug sales) (Statista). 01/06/2015 Read twice and referred to the Committee on Finance) to resolve this issue, but they always fail under big-pharma’s gigantic influence. An Indirect Initiative containing this type of bill could be proposed by the People, approved by the IQA, and sent to Congress – a straightforward process. If it were not passed without good reason in Congress, then the IQA could process it as a Direct Initiative for the People’s vote at the next Federal Election. In McCutcheon on 2 April 2014, the Supreme Court narrowly (5-4) decided to remove a limit on contributions an individual can make over a two-year period to national party and federal candidate committees. It vastly increases the already huge amount of money available to influence congresspersons and create dark (untraceable) money to support Plutocratic causes. If the People want to reduce the money available to corrupt our Congress, the McCutcheon decision would be a likely target. The Oligarchy and Congress are unlikely to turn their backs on such largess. 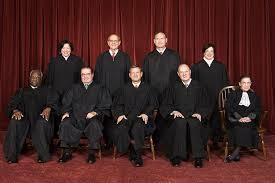 The only option left will be for the People to use a Direct Constitutional Initiative to reverse the McCutcheon . The Electoral College currently consists of 538 electors corresponding to 435 representatives, 100 senators, and 3 from the District of Columbia and avoids a popular vote for election of candidates. Each State’s Electoral College (except in Maine and Nebraska) allocates all its votes in a winner-take-all method. Because every state has 2 electors corresponding to its senators, the smaller State have a larger per-capita impact in selecting the President. The founding fathers established the Electoral College in the Constitution as a compromise between election of the President by a vote in Congress and election of the President by a popular vote of qualified citizens. In the intervening 230 or so years, the electorate has been expanded to include almost all U.S. Citizens of age. The Electoral College has become an anachronism; its original purpose has disappeared. However, it still has a sentimental attachment to history, serves the party-political elite, and may help somewhat with fund-raising. On the other hand, it is indisputably anti-democratic, it causes much dissatisfaction with the electoral process, it can call into disrepute the validity of the electoral results, and Congress must like it or they would propose a repeal amendment to the States. The People should prevail over Congress. The electoral college does not effectively acknowledge third-party Presidential Candidates, e.g., Abraham Lincoln, Theodore Roosevelt, William Jennings Bryan, Millard Fillmore, Ross Perot, Robert La Follette, George Wallace, Ralph Nader, Strom Thurmond, and Ron Paul. Many worthy third-party candidates never run for fear of splitting the vote with like-minded candidates, and so causing election of the candidate they most opposed. This is a benefit to the two parties, but a disservice to the People who may prefer a third-party candidate as a better alternative. 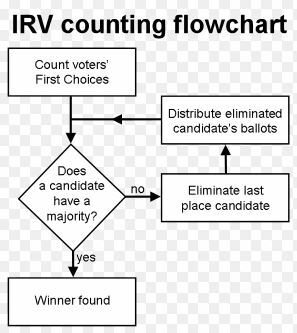 Thus, an electoral college solution should also include a method to accommodate third party candidates, e.g., instant runoff or rank choice voting, that still guarantees the finally-selected candidate will have a majority of all the votes cast. Thus, replacing the Electoral College with Popular Vote for President and Vice President will require one or two Direct Constitutional Initiatives and will probably take 3 to 5 years. In the early years of the Congress, there was no need for congressional term limits due to frequent turnover, perhaps due in part to long travel times. Today, virtually all elected representatives dislike any limits to their tenure, feeling that their years of experience are valuable and that enforced retirement from office is a waste. The People today generally like the concept of congressional term limits for Representatives and Senators, perhaps believing the it is much harder for Oligarchs to corrupt a moving target. The Articles of Confederation, adopted in 1781, established limits for the delegates to the Continental Congress, mandating in Article V that “no person shall be capable of being a delegate for more than three years in any term of six years.” The People enforced limits in 21 States, of which 6 managed to nullify the limits leaving 15 States today. 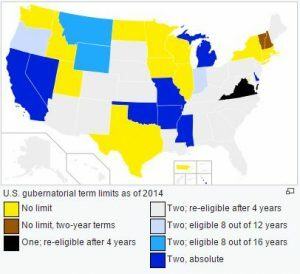 In the 1990’s 22 States set congressional term limits for their representatives. However, in 1995, the Supreme Court’s five-to-four decision (Term Limits v. Thornton) determined that states do not have the authority to limit the terms of their Congresspersons. In the 22nd Amendment, Congress set a two-term limit for the of U.S. President. Duplicitously, Congress condones limits for others but not themselves. The People have a right to set term limits for Congress. An example would be a combined maximum of ten years in the House and Senate. Unless there had been a credible prior evaluation of this issue, it is probable that the IQA will decide that there will be an Advisory Initiative to determine what Congressional Term Limits the People want, then the IQA will chose the best candidate Direct Constitutional Initiative to implement the People’s will. The People will be able to decide if the U.S. Electoral System should be Winner Take All or so called Fair Representation. The issues are outlined in a 4-min. Fair Vote video. The Fair Representation Act H. R. 3057 has been introduced to Congress by Representative Don Beyer (VA-08) and has the potential to fundamentally solve the problems facing our broken politics. Visit FairVote and Ballotpedia to learn more. Due to the divisive issue of legal and illegal immigration across the porous Mexican land border, the issue of world immigration pressure has not received as much concern in the U.S. as it deserves. 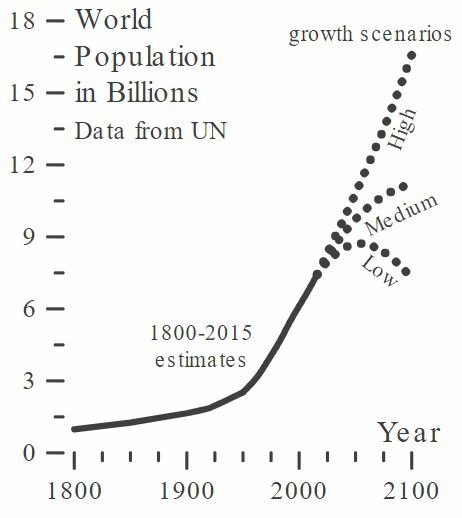 But if the world population growth rate is high or medium (see World Population graph), then substantial additional legal and desperate illegal immigration are an inevitable consequence. A porous Mexican border will increasingly become an attractive route to immigrants and refugees from many more countries around the world. 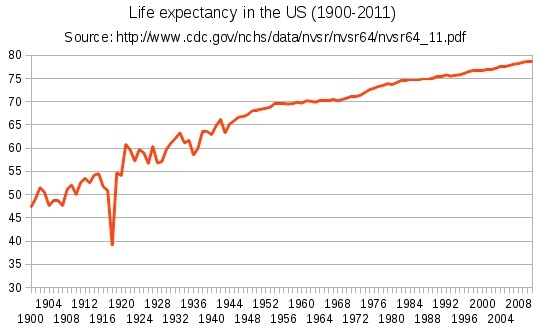 The World Population problem is compounded by the rapid advancements in curing diseases not only by well-know technologies but by the growing evidence that many diseases (e.g., Hemophilia) may be permanently cured and eradicated by new gene technologies (e.g., CRISPR-Cas9 and Cpf1), permitting longevity well beyond current limits and creating profound ethical questions. Other governments, especially China, are are responding to these developing population problems and technologies such as CRISPR; Congress seems unaware of the changes. U.S. Citizens can take a leadership role by Initiatives to address these issues in the U.S. and encouraging other nations to do likewise, before the world’s population exceeds its supply of land, food, water, and other other vital resources. Action by the People should probably start by an Advisory Initiative and proceed if appropriate after that information has been digested. Lacking a balanced budget amendment, our National debt recently climbed over 20 trillion dollars and now exceeds our Gross Annual Domestic Product. The debt amounts to $62,000 for each of our 325 million citizens. The only time it was higher is the end of World War II, when government bonds were widely sold to the public in support of our 16 million Americans who served in that conflict (291,557 died in battle). Senator Hatch first introduced a modern Balanced Amendment in 1979. However, the Balanced Budget Act of 1997 was ineffective—Congress can always find its way around legislative solutions. A Constitutional Amendment is the only enforcement mechanism. A balanced budget amendment is a constitutional rule requiring that a nation cannot spend more than its income except for specific circumstances. It requires a balance between the projected receipts and expenditures of the government. Balanced-budget provisions have been added to the constitutions of most U.S. states, the Basic Law of Germany, the Hong Kong Basic Law, Spain, Italy and the Swiss Constitution. It is often proposed that a balanced-budget rule be added to the federal United States Constitution. Most balanced-budget provisions make an exception for times of war, national emergency, or recession, or allow the legislature to suspend the rule by a supermajority vote. Perfect balancing is not possible and can be harmful. 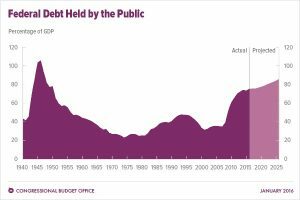 There are times when debt should and must be increased for need, and times when it should and can be decreased without harm to build reserves; the People understand this better than Oligarchs. In 2017, the Oligarchy played a mean trick on the People by compelling (as evidenced by lock-step voting, etc.) Congress not to balance the budget by about 1.5 trillion dollars to favor corporations, their Oligarch owners, and friends by nearly halving their tax rates while leaving the old corporate tax loopholes is place. When national funds are diverted into corporate wealth (e.g., reducing taxes on the wealthy and corporations) it increases the National Debt by a like amount (which is owed by the People). This is clearly taking from the People to enrich Oligarchs and friends. Some small tax relief was provided to the People that decreases each year, but the effects of the increased debt on inflation and debasement of the currency was not addressed and may well be far greater than the People’s tax relief. Only time will tell the full story, by which time new issues will dominate the agendas. With the power of Initiatives, the People can avoid like issues in the future. An Advisory Initiative will probably be used first to determine where the People stand on the issues and gain from information revealed in the process. A Balanced Budget Act can then be offered as a Direct Legislate Initiative and passed by the People. Because Congress cannot overrule a Direct Legislate Initiative, it is unnecessary to use a Constitutional Amendment, which thereby has the added benefit that the Balanced Budget Act can be more easily amended by the People over time.